In a proactive measure to curtail the spread of Lassa Fever in the state, the Edo State Government has reactivated its rapid response team and started contact tracing for confirmed cases of the disease. 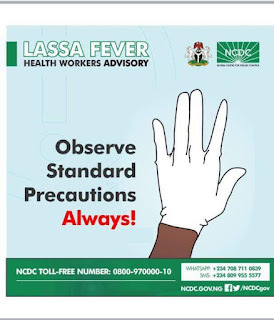 The state government, also, said it was working closely with the Lassa Fever Institute, Irrua and Nigeria Centre for Disease Control (NCDC) for case management and disease surveillance. Environment, Agriculture, Local Government and Chieftaincy Affairs and Information, who are working together to put measures in place that will stop the further spread of the current outbreak”. According to him, Edo State and some other parts of the country are currently experiencing the outbreak of Lassa Fever with significant proportion of the Local Government Areas in Edo Central and Edo North senatorial districts of the state already involved in the outbreak while the others are at risk of being affected. 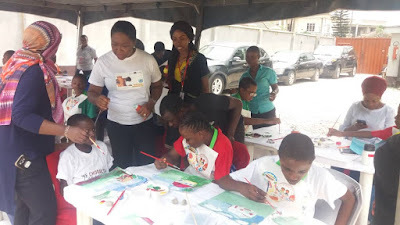 He cautioned residents in the state to keep their environment clean, eliminate rats from homes and communities, avoid bush burning that can drive rats into homes, protect their food stuffs and ensure to wash their hands properly regularly. 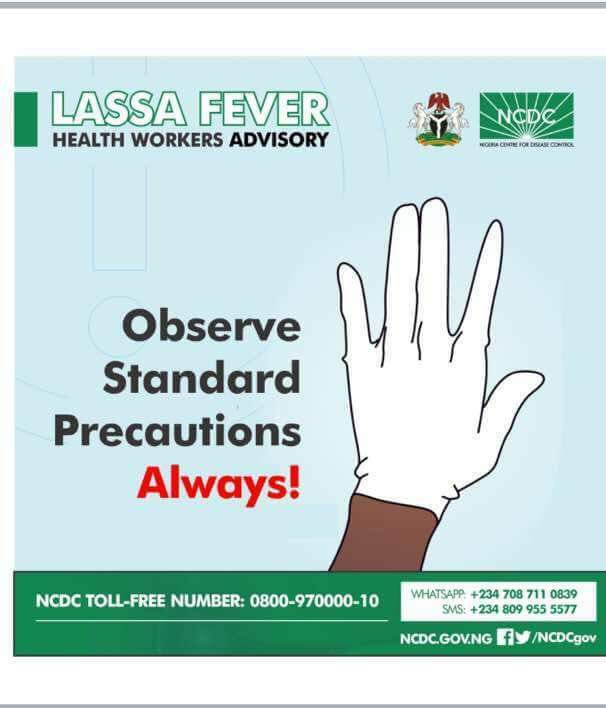 He urged all persons with fever to go to the nearest health facility, calling on health workers to wear protective gears when handling fever cases. He said all cases of Lassa Fever in the state are treated in specialised centres, chief among which is the Institute of Lassa Fever Research and Control in Irrua Specialist Teaching Hospital, Irrua, which was established to treat Lassa Fever cases.